Choose a square shower enclosure from our huge range online. Square-shaped shower enclosures have crisp, sleek lines that will look great in any bathroom and sit neatly in corners which utilises space perfectly. 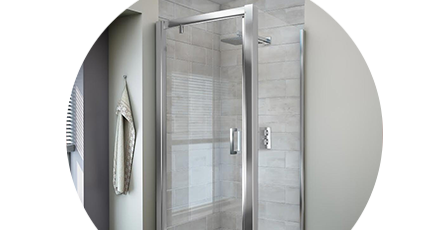 These contemporary shower enclosures perfectly complement modern bathrooms, especially the square frameless styles with their ultra-modern look and feel. This enclosure is quite well made, but the instructions are awful. I'm not a pro but i've fitted a few showers enclosures before and i've not had one as difficult as this! Perfect shower enclosure and very easy to clean.